Mr Shapiro is an experienced child custody attorney for the regions of Long Island and New York. During his time working in family law, he's helped families of all shapes and sizes deal with several complexities, ranging all the way from child maintenance, to legal custody. Importantly, Mr. Shapiro has found that in many cases, some of the same questions can arise from concerned parents and guardians. As such, he has created a guide of commonly asked questions for those in search of a child custody lawyer. As a child custody lawyer, Mr. Shapiro needs to help his clients and make arguments by the standards that the courts of New York need to consider when it comes to pursuing the best interests of a child. In child custody cases, the courts are asked to consider the future by examining the past, in order to determine which parent involved in a case might be able to offer a healthier environment for the child in question. The Best Interests of the Child is the standard by which a court needs to judge how to make decisions in a child custody and parenting time case. Sometimes, expert testimony or psychological advice will be accessed to ascertain the best interests of a child, in addition to the testimony of the parties and other witnesses. Mr Shapiro has been involved with a wide range of cases as a child custody lawyer. While there many issues involved when it comes to weighing the best interests of a child for parenting time and custody, one issue that's often considered is the standard of the "primary caretaker". The primary caretaker is the person who may have spent more time looking after a child during a marriage or the child’s life. This is often more important for younger children who have formed a strong bond with their primary caretaker, and may suffer from psychological issues if they were to be removed from that person. 3. What Does "Serving Process Mean"? There are many things that parents must do when working with a child custody attorney on a case. For instance, when a case is brought to the court, the law will require papers to be served, often including a sumomns and petition. Though the court sometimes sends papers to the parties themselves, often the lawyer for the petitioner or plaintiff will be tasked with ensuring papers are served. This activity is crucial, as the law recognizes the importance of making sure that each parent can make a claim on the behalf of a child's best interests. If papers cannot be delivered with due diligence, a lawyer like Mr. Shapiro, may be able to motion the court to have the court order service by alternate means. 4. What's an "In Camera" Interview? A child custody case using an "In Camera" interview might not include a camera. Rather, these interviews allow children within custody cases to speak about their concerns and preferences in a safe location, with the judge in the case. There are no other people, except for the attorney for the child and the Judge present during this conversation, which allows children to avoid the concerns of repercussions when speaking about their parents in front of them. Usually, these conversations will take place within the chambers of the Judge responsible for the case. 5. Can Modification Requests be Dismissed without a Hearing? A request for modification in a child custody case can be dismissed without a hearing when there isn't any evidence available to demonstrate a change in circumstances significant enough to impact a child's best interests. As a child custody lawyer, Mr. Shapiro often finds that the courts would prefer not to modify child custody matters and potentially disrupt a child's life without reason. That's why it's not enough for parties to simply suggest accusations that allege a change in circumstances, or provide self-serving allegations that hold no proof. A proper, substantial change of circumstances must be alleged for a child custody modification case to move forward. 6. What is a Parent Coordinator? Child custody attorneys like Mr. Darren Shapiro may seek to have other professionals work with the parties during a child custody case, such as parent coordinators. These individuals are responsible for offering guidance to parties who are interested in pursuing joint legal custody for a child. They also might help parents that do not have joint legal custody but foresee future disputes in working out parenting time issues. They offer dispute-resolution options for high-conflict (or low conflict) cases, and focus on putting children first in all cases. Sometimes, parent coordinators can help to ensure that parents are able to make decisions after the child custody and parenting time case is over. 7. 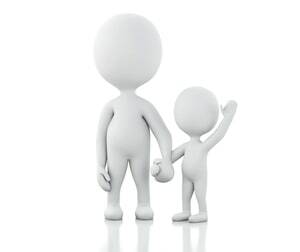 Can you Include Child Custody Terms in Separation Agreements? The New York Domestic Relations law determines that prenuptial, postnuptial, and separation agreements can include guidelines for a range of topics, including provisions for the custody, care, and maintenance of a child. Domestic Relations Law 240 indicates that the court can enter custody orders based on the best interests of the child, and the details of the case. If the terms of an agreement don't support a child's best interests, the agreement may not be enforced. Because separation agreements contemplate the parties living apart after the agreement, it's more likely that child custody will be enforced in these matters, as opposed to postnuptial and prenuptial agreements that try to include terms about the future status of children which might not be in the child(ren)’s best interests at the time that the agreement needs to be enforced. 8. When Should Joint Custody be Ordered? For child custody attorneys like Mr. Shapiro, "joint custody" is usually a term used to refer to joint legal custody, which gives both parents the right to take part in important decisions for their child's future. Although this can be a great option for some parents, the courts, usually will not force orders of child custody. If the parents involved cannot get along well enough to make decisions together for their child, joint custody might not be in the best interests of that child. 9. Are there Different Types of Child Custody Agreements? Usually, the two key areas to decide upon during a child custody case, is where the child will live, and who will make decisions for the child. Where the child lives is a matter of physical custody, whereas the legal custody relates to who has responsibility over the child's educational, medical, and other decisions. A parent can have sole, or full custody, or both parents may be given joint custody over a child. Shared residential custody is a possibility, but most often only if the parties agree to do it. 10. What do Forensics Mean to Child Custody Cases? Forensics are something that can be offered by child custody attorneys during cases that hold disputes about visitation, custody, or parenting time. Forensics is a term that refers to the investigations and reports implemented by psychological professionals who are appointed by the court. These reports can help the court to make decisions according to the best interests of each child. Forensic investigators may include psychologists, psychiatrists, and social workers. It's clear to see that child custody cases can be complex. If you need extra guidance, or have your own questions to ask, contact our principal Mr. Darren M. Shapiro to book your initial consultation. You can reach out through the online contact form, or through the phone at (516) 333-6555.